British and Italian cafe on the upper level of the Whitgift Centre. 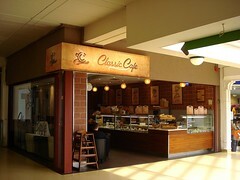 The unit was vacant as of July 2012; Classic Cafe opened some time between then and March 2013. Last edited 2019-03-08 15:49:39 (version 17; diff). List all versions. Page last edited 2019-03-08 15:49:39 (version 17).